The computerized control system is the “brain” of any water ionizer. This system responds to the commands of the user on a day to day basis, monitors filter life and in some cases monitors the overall performance of the machine and allows users to customize its performance. In this segment you’ll get an idea of what options are out there with regard to the computerized control systems in water ionizers. 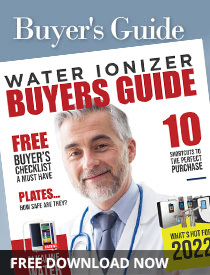 Based on your needs this will help you narrow down your water ionizer selection to a product that gives you the features and functions that will best serve you. Every water ionizer will have a basic computerized control system that allows for multiple pH level selection, including an “neutral” or “purified” setting. The neutral or purified setting is “filter only” where no ionization is taking place, the unit is just allowing water to be filtered so that you have clean drinking water for taking medications or to have at or near mealtime. Ever water ionizer’s computerized control system will also monitor the remaining filter life – letting you know when it’s time to change the filter with audio and/or visual alerts. Those are the basics. If a water ionizer does not offer pH level selection, it’s not really a water ionizer – it is a filtration system with an alkalizing element and magnets or bio-ceramics to generate low levels of antioxidants in the water. It will not produce the strong antioxidant properties that most people are looking for in a water ionizer nor will it be able to produce “neutral” water suitable for taking prescription medication or drinking at or near mealtimes. 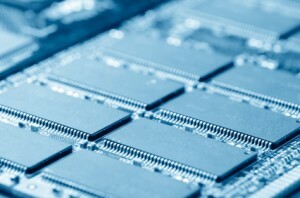 More technologically advanced water ionizers will have computerized control systems that offer the user many more options and monitor the unit’s performance. One of the most important features in a water ionizer is adjustability. Being able to adjust the amount of power your water ionizer uses will let you customize the unit for optimal performance based on your source water. Source water varies across the country. Whether or not you move to another location or choose to take your water ionizer with you when you travel, the ability to customize the unit based on your source water will allow for optimal performance. For this reason we recommend looking at water ionizers that offer some sort of adjustability. Some models will have an “overall” adjustment mechanism. This means you can increase or decrease the amount of power the unit is using like a “master volume control.” Making one adjustment will increase or decrease the power used at all settings. More advanced models will allow you to adjust the amount of power used at the individual presets. This allows for optimal customization based on your source water and how you use the unit. This type of adjustability lets you program your unit for multiple uses without one adjustment affecting the performance at the other presets. Some models only allow adjustability at the alkaline presets, others will allow every primary preset to be customized, others will have a “master adjustment” that tweaks performance at all of the alkaline presets equally and another that does the same for all of the acidic presets equally. Other water ionizers only have a single “master control” that adjust the power at all alkaline and acidic presets. The more flexibility you have to customize the unit, the more options you have for use. It will also give you the flexibility to adjust the unit’s performance if you are traveling with it or should you move to an area with significantly different source water. There are some good safety features available on water ionizers courtesy of the more advanced control panels. Running a water ionizer with a flow rate that is too low can cause damage to the plates. Running hot water through your water ionizer can cause damage to the plates and sensitive electronics. A water ionizer that shuts off automatically if no or low water flow is detected will help prevent damage or premature wear of the unit. Some water ionizers will shut off if they detect excess heat in the unit from operating for too long or from hot water being used. Other water ionizers will have a timed shut-off mechanism which assumes it has been left unattended if it has been producing water at one level, uninterrupted for several minutes. This is a very helpful feature in households with children or some older adults. And every household has probably had someone who, at least once, turned the water on at the sink and then walked away to get something from another room, got distracted and completely forgot the water was left running. The more advanced the computerized control system, the more flexibility you’ll have as a user and the more safety features you’ll have and the happier you’ll be with the overall performance of your water ionizer.